Our extensive line of solutions protects across all types of environments and platforms from workstations and servers to mobile devices, helping our clients maintain maximum protection across all types of environments. Keeping your identity safe and secure. 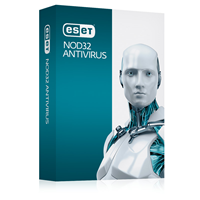 ESET Smart Security 8 has you covered. Version 8 comes packed with the latest in enhanced detection technology: Botnet Protection, Personal Firewall and Anti-theft features.